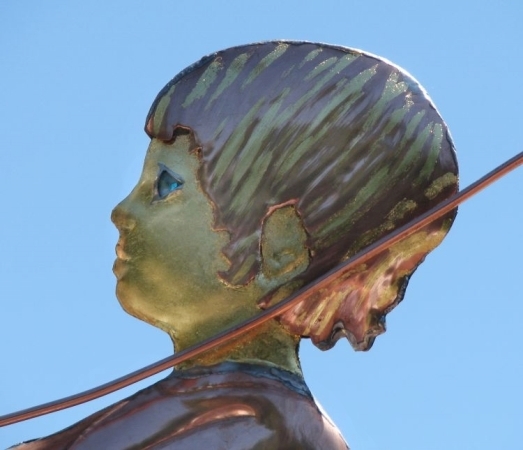 This Boys & Kite Weather Vane is crafted in copper with gold accents. 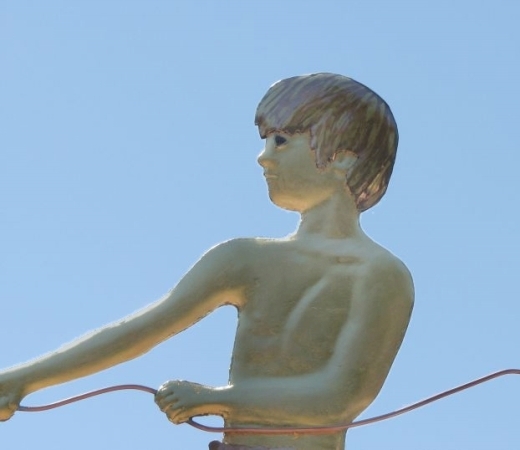 As you can see, the boy’s faces, bare torso, arms and legs as well as the kite, were gilded in optional gold leaf. You can choose to accentuate any aspect of the design using different metal combinations when placing your order. 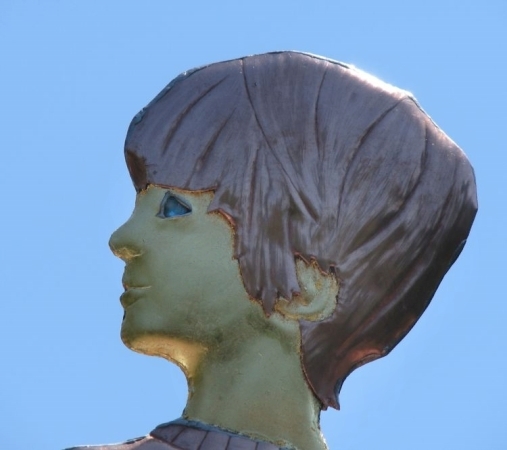 As with most of our human figures, you also choose what color eyes each boy has — selecting from blue, emerald, green or brown translucent glass jewels. 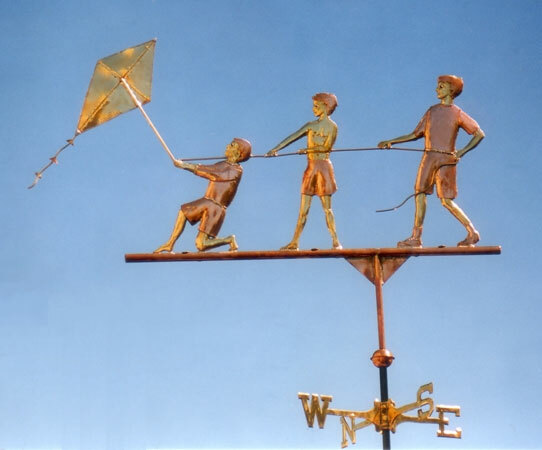 This particular Three Boys and A Kite Weather Vane was a portrait piece we did for a woman in Massachusetts. She sent us photos of her three sons and this design is based on these images. 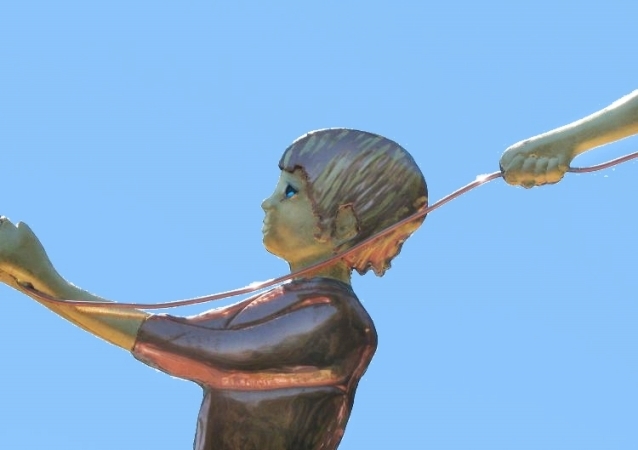 Inside each boy is a ‘lucky’ penny from the year they were born; a variation on the popular Victorian tradition of inserting inside each weathervane a copper penny from the year the sculpture piece was made. 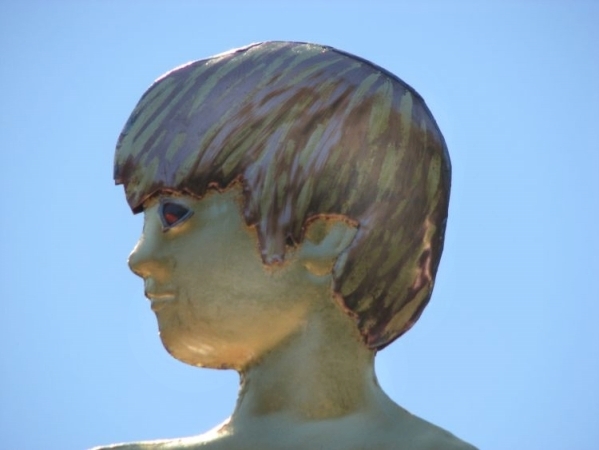 The design and construction technique we used is mirror image, meaning it has identical pattern pieces for each side of the sculpture piece. A mirror image weathervane looks exactly the same when viewed from either side. We designed this weather vane in mirror image, showing all three boys in profile so there is never a time when their backs are to you. We have also made variations of the Children and Kite weathervanes adding girls, mixing up the positions of the children, etc. If you are interested in a variation on this theme, please let us know. 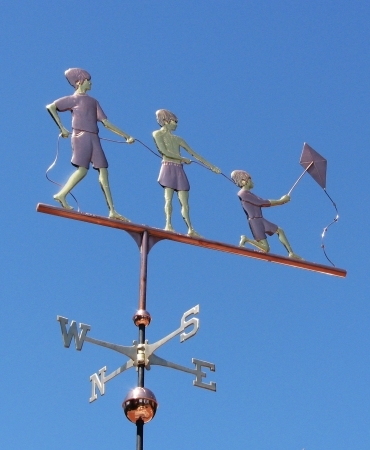 We can literally create a portrait weathervane based on photos supplied us by our customers. A piece like this could become a treasured family keepsake and be handed down for many generations.